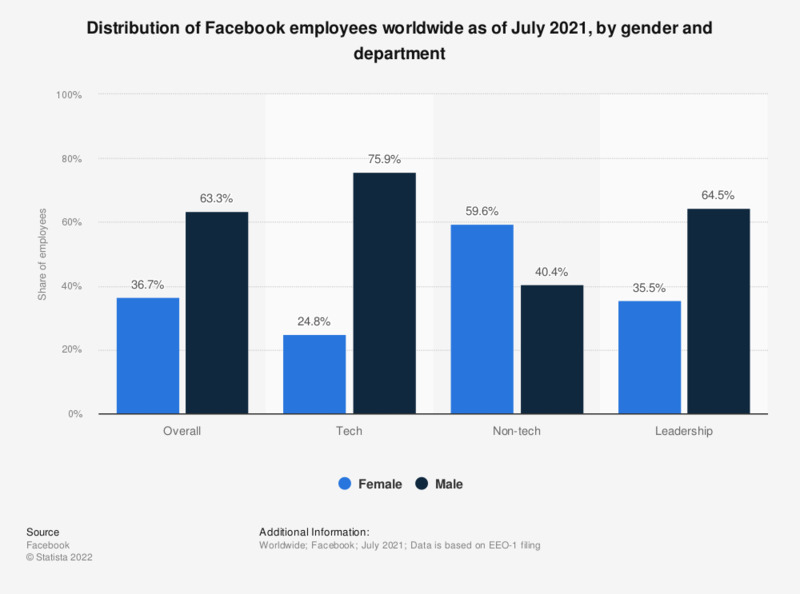 This statistic illustrates the distribution of Facebook employees worldwide in 2018, sorted by gender and department. As of June 2017, 30 percent of global Facebook senior-level employees were female. The majority of employees were male. As of 2017, the number of Facebook employees has reached 25,105 full-time staff.